Do you want to explore unlocking capital or deploying capital to benefit women and girls? Are you excited about the power of women to make markets? Do you want to contribute materially to the United Nations’ Sustainable Development Goals around women and girls? Are you ready to get beyond the talk and get to the strategies and tactics of action? This new 2-day intensive course is designed to help you navigate the emerging world of gender smart investing so that you can develop tangible strategies and practice to more easily and quickly integrate gender smart investing as part of an overall investing practice. Two of the top globally recognized pioneers in gender lens and impact investing will lead the training, sharing their insights and working with you on the key practices of gender lens investing. View the draft program agenda here. This program takes place March 11-13, 2019 at Duke University in Durham, North Carolina, US. Registration for this March program is now closed. Please email carrie.gonnella@duke.edu if you wish you be informed about future programs. Gender Lens Investing uses capital to deliver financial returns while improving the lives of women and girls and their communities. Investors, funds, philanthropists, and governments around the world are focusing on these outcomes as part of the UN’s Sustainable Development Goal #5. In the last six months, the US government and a dozen other development finance agencies have launched multi-billion dollar campaigns for gender lens investment as a tool for community and economic development, aiming to leverage private capital. Credit gap: Women-led small and medium enterprises (SMEs) worldwide face a $1.4 trillion shortfall in access to credit despite women anecdotally having lower non-performing loan rates than men. A multi-trillion dollar opportunity: According to a McKinsey study, closing the gender labor gap could add $28 trillion, or 26 percent, to annual global GDP in 2025. The world’s largest emerging market: The female economy represents a market more than twice the size of India and China combined. By 2028, female consumers will control around $15 trillion of global consumer spending. Investing in women pays dividends in other areas: When women earn a competitive income, they spend 90 percent of it on their households, food, healthcare, and education. Given these trends and the emerging appetite for deliberate integration of gender analysis into the investment and decision-making process, it is important for professionals and individuals to be more deliberate about how they make investment decisions and how they integrate gender thinking into all stages of their investment practice. In order to guarantee the interactivity and learning potential of the course, spaces are limited. Each registration will be screened by CASE i3 at Duke University which reserves the ultimate decision on admittance. Integrating gender lens practices across the key steps of your investment process, including due diligence, structuring, and closing deals, governance, managing for impactful exits, and portfolio management. Understanding the range of available resources and consultants available to help you along the way and how to select and work with them. You’ll emerge with tangible frameworks and tools to develop your own unique gender smart investing approach. Case studies and a focus on insights from everyday practice will be at the heart of the training. You will be provided with ready-to-use frameworks, tools, and materials to work on during the workshop and to take with you and use as you turn your strategy into practice. Pre-course preparation: The course starts with short pre-readings and videos, released 15 days prior to the training via our online learning platform. These will require 1-3 hours of your time prior to the session. In-person training: The in-person portion of the training kicks off with a dinner and networking session on the evening of Monday, March 11, 2019. Two days of hands-on, tactical, face-to-face training with our professor and practitioner team takes place on Tuesday, March 12 and Wednesday, March 13, 2019. 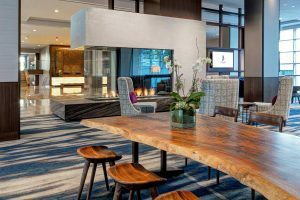 All training sessions and meals are held at the JB Duke Hotel and conference center, located on Duke University’s campus in beautiful Durham, North Carolina, USA. All accommodations and meals are included in the program fee. Certificate of completion: Duke University’s Fuqua School of Business will award a certificate of completion to participants who have successfully completed the Getting Gender Smart program and assignments, as judged by the course instructors. The Fuqua School of Business was ranked #1 business school in the world by Bloomberg Businessweek in 2014 and attracts and nurtures a new kind of leader who has the power to bring out the strength in others and move teams forward toward a common purpose. Getting Gender Smart WhatsApp Group: A peer group for conversations and learning to continue. This will be free for all participants who complete the course and unmoderated by course instructors. Getting Gender Smart 1:1 Coaching Sessions: The chance to get personalized feedback as you develop or revise your gender strategies after the course. This option will be available at an additional hourly rate with one or both of the course instructors. 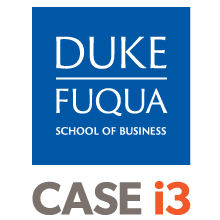 Trainers: The course is co-designed by the CASE i3 Initiative on Impact Investing at Duke University, a global leader in impact investing research and education, and Catalyst at Large, one of the most sought-after consulting firms on gender lens investing worldwide. Registration is now closed for the March 2019 program. Please email carrie.gonnella@duke.edu if you wish to be informed about future programs. Registration fee includes hotel accommodations, meals, and snacks during the program, program fees, workbooks, certificate of completion, and relevant taxes. Does not include ground transportation or the optional personalized 1:1 coaching post-event sessions. 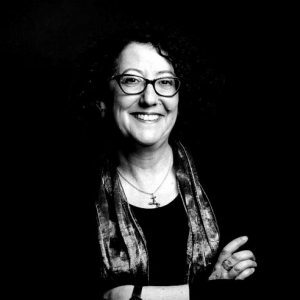 Suzanne Biegel is the founder of Catalyst At Large Ltd, based in London, and has more than 25 years’ of experience as an entrepreneur, investor, board member, and hands-on operational manager. Her consulting, speaking, facilitation, writing and field scanning is in gender lens investing, globally and spans work with a variety of institutional actors. She also serves as Senior Gender Lens Investing Adviser at Wharton Social Impact Initiative at the Wharton Business School. She was the founder and Chief Catalyst of a pilot initiative in investing with a gender lens called Women Effect, parts of which are now part of the Wharton Social Impact Initiative. She is Investment Director for the SPRING Accelerator. She is the founder of Women in Social Finance, a closed group of senior-level women in the field of impact and responsible finance in the UK. She is the founder of the Clearly Social Angels network in the UK for ClearlySo. She is a Catto Fellow at the Aspen Institute. Suzanne served as a founding member of the board of directors of Confluence Philanthropy where she is still an active member. She is also on the global advisory board of Cornerstone Capital Management, SheEO, and numerous other advisory positions in investment and philanthropy. She also serves on several of the investment committees of the Patient Capital Collaborative, a series of collaborative angel investment funds. 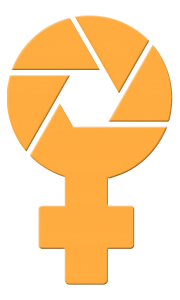 She leads the Women and Impact group within the Toniic network. She was founding co-chair of the Values-Based Investing Circle within Women Donors Network. Suzanne previously served on the Advisory Board of Investors’ Circle in the US (where she was CEO in 2010-2011) and was a long time member of that network. She also previously served on the boards of Liberty Hill Foundation, Rockwood Leadership, and Growth Philanthropy Network. She was a long time member of the Social Venture Network. She began her career at IBM in the early 1980’s, and subsequently played pioneering roles in two IBM-funded startups. In the 1990s, Suzanne was the CEO of IEC, an e-learning and communications firm. Since selling IEC, Suzanne has been an active angel investor, philanthropist, and board member, and has played leadership roles in a variety of companies and projects. Catalyst at Large works with a phenomenal extended team of partners, globally. 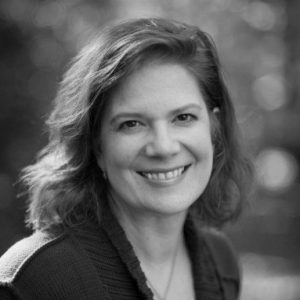 Cathy Clark brings over twenty-five years of experience as a successful thought leader, field builder, and educator in impact investing and social entrepreneurship to her role as Faculty Director for the Center for the Advancement of Social Entrepreneurship (CASE) at Duke University’s Fuqua School of Business, in Durham, NC. In 2011, she founded the CASE i3 Initiative on Impact Investing, recognized by the World Economic Forum and the Bridgespan Group as one of the top academic programs on impact investing in the world, and she continues to direct the initiative. She has a broad portfolio of interests and roles, dovetailing her research and teaching with practitioner-focused, collaborative projects. A former impact investment fund and private foundation manager, who taught at Columbia Business School for a decade before coming to Duke, Cathy’s work has helped thousands of entrepreneurs, investors, intermediaries, and governments around the globe improve their ability to use business as a tool for good. Since 2014, she has led global projects in collaboration with the USAID Global Development Lab, which include the Social Entrepreneurship Accelerator at Duke (SEAD), an accelerator working to scale the impact of global health ventures in India and East Africa. Under her co-leadership, SEAD helped early-stage health enterprises, many focused on maternal and child health, raise more than $59 million and improve health outcomes for more than 28 million people in 50 countries. The lessons of that experience drew her to create CASE’s online learning series for entrepreneurs, accelerators and educators, CASE Smart Impact Capital, a 30-hour online training toolkit on impact investing accessed by over 15,000 users in 130 countries, with a 94% satisfaction rate. She is also a co-author of CASE’s #ScalingPathways series for nonprofit social entrepreneurs scaling their impact, in partnership with the Skoll Foundation, USAID, and MercyCorps. Cathy is the leading academic behind the creation of B Corporations, a movement dedicated to the idea of business as a force for good. She co-authored the survey that over 40,000 global companies have used to measure and improve their impact, receiving the Bill Clark B Champions Award in 2017 for a decade of building the B Corporation movement. She is globally recognized as an expert in impact reporting for impact investing and has also been an active contributor to the Impact Management Project, the Global Impact Investing Network (GIIN)’s IRIS standards, and other systemic efforts to improve practices in impact assessment. Cathy was the sole academic member invited to David Cameron’s G8 Social Impact Investment Taskforce US National Advisory Board and was invited by Obama White House Office of Social Innovation and Civic Engagement to track over $1.5 billion in new impact investments in the US. She is a co-author of The Impact Investor: Lessons in Leadership and Strategy for Collaborative Capitalism, which profiled high performing impact funds and their key practices and reached #18 in finance textbooks on Amazon in 2014. She is also a sought-after speaker and board member, and currently serves on several boards and advisory boards, including Self-Help, one of the largest community development finance institutions in the US, B Lab’s Standards Advisory Council, Perella Weinberg’s Agility, rated #1 outsourced CIO for foundations and endowments, Capria, an accelerator for first-time developing market impact funds, and Upstart Co-Lab, which promotes impact investing in the creative economy, among others. Over 300 MBAs have participated in her training and consulting fellowship program in impact investing through CASE i3, and many are working to use impact investing to create lasting change through finance across the globe. Cathy holds a BA from the University of Virginia and an MBA from Columbia Business School and has published over 25 books, articles, and case studies. She publishes #OnImpact, an online newsletter on impact investing and social innovation read in over 100 countries, and tweets at @cathyhc.